Lately, I've been rushed off my feet. Of course, studying for a master's is intense and on top of that, I've had a million blog and social engagements (I sound so sophisticated!) which has left no time for chilling out. 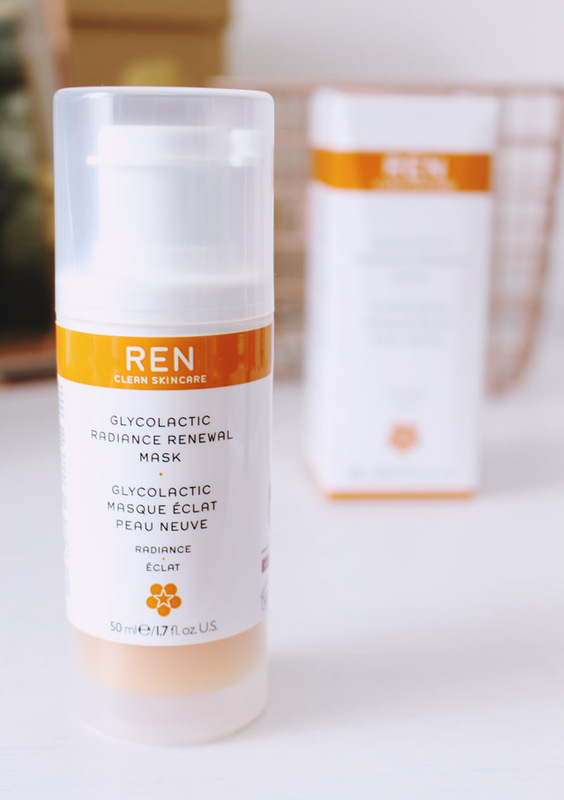 I needed a little spot of pampering and REN came to my rescue with their Glycolactic Radiance Renewal Mask. As I've only just started using this mask, think of my review as more of a first impressions rather than an in-depth analysis of the results. The mask is stored inside a thick, cylindrical plastic bottle which is transparent so you can see exactly how much product is left yet. The lid easily pops off to reveal a pump dispenser. Something I really like about the dispenser is how wide the surface area is, as I find sometimes the smaller pumps can be a bit of a pain to press down on (maybe it's just me with my weak fingers!) The best bit? The box includes a muslin face cloth so you can rinse the mask off. When the product is pumped out, it's revealed to be light orange and gel-like in consistency. This thick formula means a little goes a long way as it spreads evenly across a large surface area. It also makes it a lot less hassle to wear. Unlike some face masks, which either feel stiff on the skin or like they're about to drop off at any time, this feels light and I almost forgot it was on. Even as the mask dries and turns into a more tacky consistency, I'm still able to move my face as usual, making it a much more pleasant experience. In fact, I forgot I was even wearing it! The packaging warned there may be a tingling sensation but I didn't feel anything at all while wearing it. There is a stimulating fragrance of citrus thanks to the huge amount of fruit extracts in the ingredients- pineapple, grapefruit, orange, tangerine to name just a few. The end result is an invigorating scent which has a slight spicy note, almost like ginger, although this isn't actually an ingredient. Unlike other masks I've used, I found this one was really easy to rinse off. I just wiped my face with the cloth and it came away cleanly. As I mentioned at the beginning, I've only just started using this mask so this review is more of a first impressions. Immediately after use, my face felt a bit sticky, as though there was some residue left behind around the cheeks and jaw. However, once this sensation went, I was left with skin that felt soft and smooth, even in the days after use. This seems to be down to the inclusion of pineapple, passionfruit, lemon and grape extracts which gently exfoliate the skin. Afterwards, my skin immediately looked a little more radiant and I'm excited to see how this develops as I continue to use it. 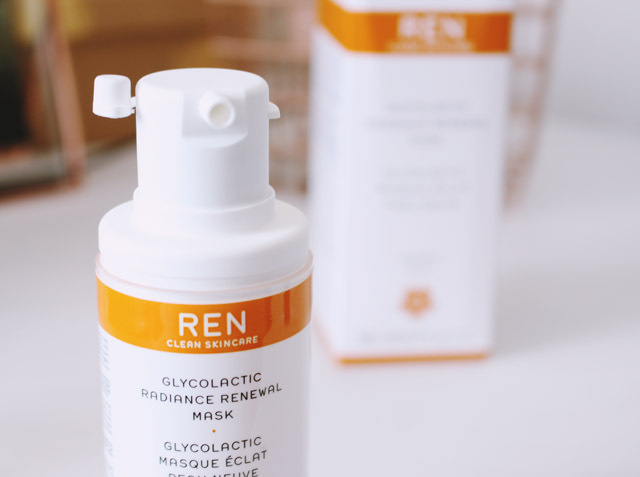 If you want to try the REN Glycolactic Radiance Renewal Mask for yourself, you can get 30% off all REN face masks with the code MASK30 between 26th and 31st October. Mask was sent to me for review but all opinions my own. Affiliate links have been used in this post. I have seen quite a lot of reviews with this and everybody has raved about this! I definitely need to try it ... anything that gives your skin a glow at this time of year is essential!